It feels like this year, we've hit peak "ugly." 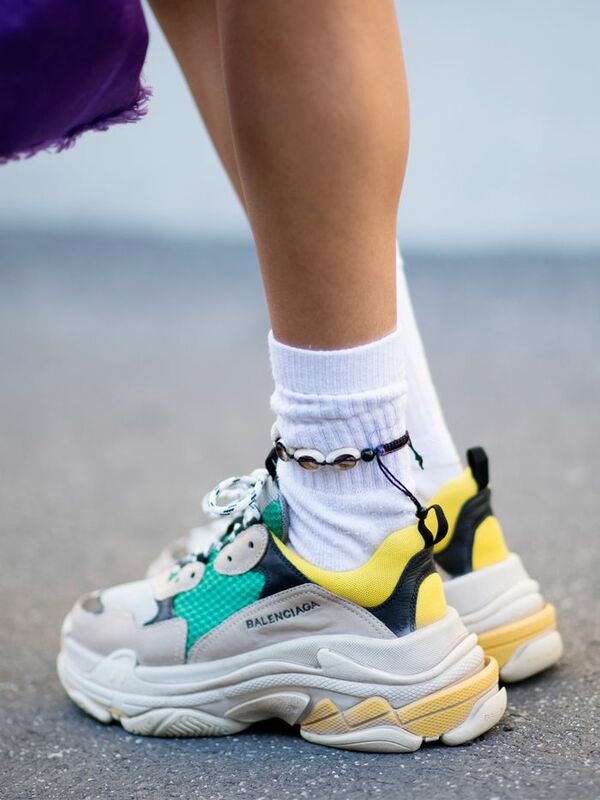 Balenciaga can’t keep its chunky Triple S sneakers in stock. Long-time dad favorites like baseball caps and Birkenstocks have become the calling card of street style stars and Instagram trendsetters. With the rise of these recent ironic fashion trends presented by brands like Vetements and even Gucci, for many women today it’s cool to be uncool. But at the root of this "ugly" wave is something bigger, at least to me. Finally women are choosing practicality over everything else. Cushioned shoes, loose streetwear, and comfortable fleeces all point to the ability for women to embrace comfort, curve-hugging be damned. To be able to spend my days running from meeting to meeting in sneakers instead of stilettos means that high fashion doesn’t have to come with a cost (pain). In a time when the daily news cycle leaves me constantly frustrated, I have little tolerance for discomfort in what I wear. I've watched athleisure slowly morph, twisting its way from slinky trouser sweats toward a full embrace of "dad" fashion, and I don’t think it's all just some passing trend. There was a time not so long ago (as my mother loves to remind me) when wearing jeans for just about anything but yardwork was disavowed. Now, while some offices require a suit, visit any tech company and employees are dressed in slouchy jeans, Patagonia jackets, and their sneakers of choice. We can look to the prevailing popularity of footwear like Uggs, Birkenstocks, and Crocs as proof of this trend's growth and staying power. Studies show each brand to be lucrative season over season, despite the fact that none of their shoes could be described as a particularly dainty or pretty. According to data, Birkenstocks' revenue tripled in 2017 as compared to the year before. 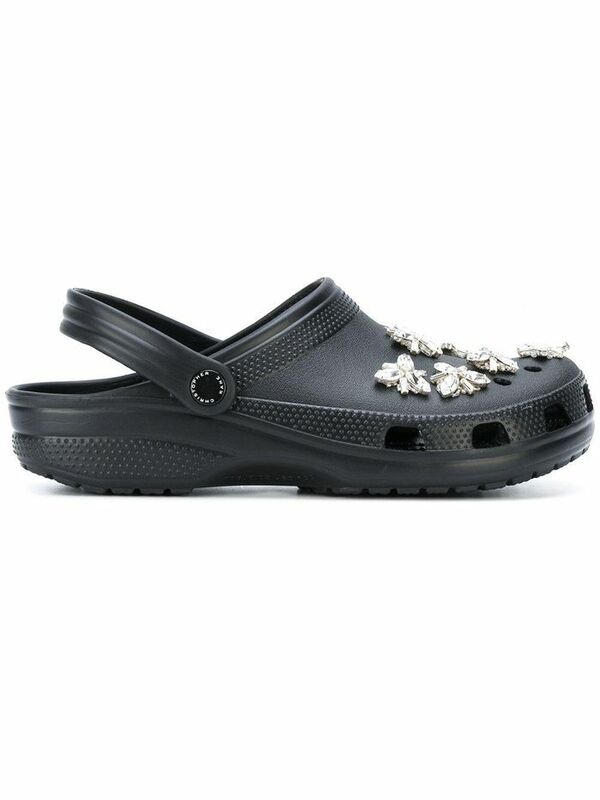 In a Washington Post article, Crocs CMO, Terence Reilly, notes "a resurgence" as well. Even as an avid Birkenstock wearer myself, I was surprised to find an article from my alma mater singing the praises of Crocs pop up in my Facebook feed and another in The New Yorker outlining "the life-changing magic of clogs." While we all may have our own self-defined wearability spectrum when it comes to the ugly trend, there's no denying that the level of comfort offered by all of these once-derided shoes has won over many women, myself and many Who What Wear readers included. The pendulum of fashion will continue to swing, and there may be a time in the not-so-distant future where borrowing styles from your dad is no longer preferred, but I expect fashion’s embrace of comfort to linger. I wouldn't go so far as to directly correlate comfortable fashion choices with the rise of #MeToo or #TimesUp, but I do think that we've entered a time when many women feel empowered to choose self-care, and what we wear plays no small part.